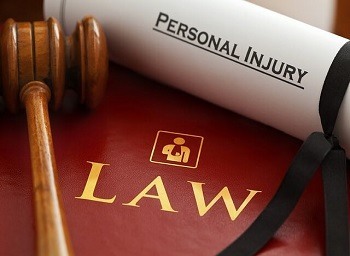 Personal Injury Compensation. In Citrus Heights, personal injury compensation depends on a variety of factors. Since no two cases are exactly alike, the factors vary in importance and value. Predicting how much a case is worth is complex and can be misleading in some cases if the client does not understand that an estimate is not foolproof and varies. However, clients who have suffered a considerable life-altering injury have a right to know if their case settlement or court award will cover the costs associated with the accident. Let’s examine what goes into determining what a case is worth, what factors are relevant and how personal injury compensation is valued. Type of defendant: Is the negligent party a company, an individual person or a government entity? This makes a difference in terms of the amount of insurance the defendant carries. An individual is likely to carry less insurance than the others and may be unable to cover the cost of the personal injury compensation. Insurance: This is an important factor since the type of insurance the plaintiff and the defendant have helps determine the compensation. For instance, is the defendant insured or have inadequate insurance to cover the claim? Many drivers in California are underinsured or uninsured, and this impacts whether the costs will be covered. In addition, the type of insurance the not at fault party or the plaintiff has is another important element when considering personal injury compensation. Certain add-on coverage such as medical payments coverage or collision, both of which will pay for expenses caused by another’s negligence, can be used when the defendant lacks insurance. Hit and run accidents: Collision coverage can be used when a hit and run driver leaves the scene of the accident. In this scenario, the plaintiff will be required to pay a deductible. Injuries: The nature and intensity of the injuries have an enormous effect on the compensation that is needed. It stands to reason that the longer an injured person is hospitalized, the costlier the medical treatment will be. Accident characteristics: This is an essential part of determining monetary value since each type of accident has specific features that define it. For instance, was the defendant solely responsible for the accident or was speeding an integral part of the crash. On occasion, more than one driver is partially at fault for the accident. Since California is a comparative fault state, the percentage of fault determines how much of the compensation amount the driver will receive. For instance, if there were two drivers, one of whom was crossing at an intersection with the right of way and the other at a stop sign, it might seem clear cut who was at fault. But, what if the first driver was speeding, causing his time to reach the intersection to be altered from what it should be at that particular distance. The driver at the stop sign is at fault for the accident since he was required to yield to someone already on the cross street. However, the other driver’s speed might mitigate the stopped driver’s degree of fault. In this case, the stopped driver may be considered 80 percent at fault while the speeding motorist might be held 20 percent liable. This means that the driver considered 20 percent at fault would only be able to receive 80 percent of his or her damages. The stopped driver may be able to recover 20 percent of theirs. I’m Ed Smith, a Citrus Heights personal injury lawyer. Having an accident is a frightening experience and being able to receive the compensation you need is critical. Having the experience an injury attorney can provide is essential. Call me at (916) 921-6400 for free and friendly advice. If it is more convenient, you can also contact me at (800) 404-5400, or use my contact us page to reach me online. 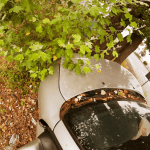 I’ve helped many residents of Citrus Heights and those in Northern California obtain fair compensation in all types of car accidents, bicyclist injuries, motorcycle crashes and wrongful deaths. The milliondollaradvocates.com represents a forum of trial lawyers who have won more than $1 million for a client.